One day it may be possible to introduce Ellie Nunn without mentioning her parents (theatre director Sir Trevor Nunn and actress Imogen Stubbs). 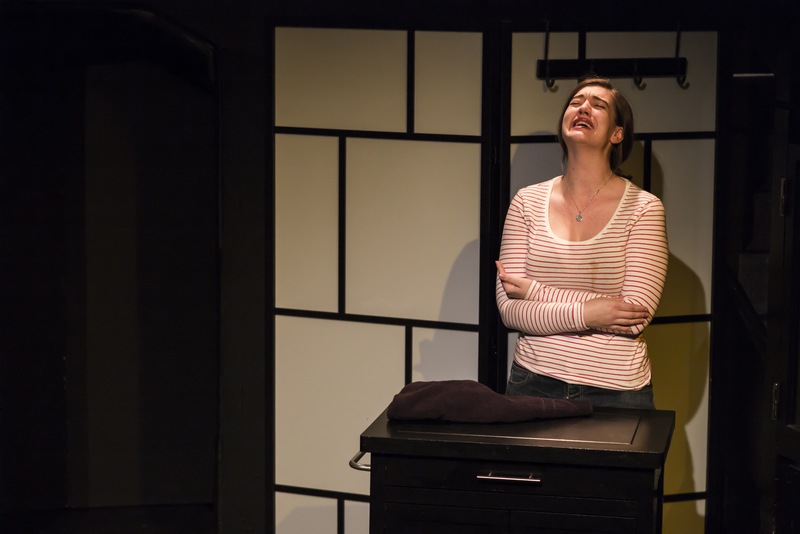 But when a 22-year-old fresh from Cambridge is starring in a one-woman show in the West End (albeit in an off-West End studio theatre), you’ve got to ask how she managed it. The answer (hush you cynics) is under her own steam – or rather the combined steam of her and the production company Dippermouth, set up by friends of hers at university. They filled out the necessary application forms like everyone else and were selected by the Jermyn Street Theatre’s relatively new Artistic Director Anthony Biggs to put on Bombshells. The result is a two-hour monologue in which Nunn presents six vignettes of six different women, in varying stages of life. But don’t be fooled, this isn’t one long speech. 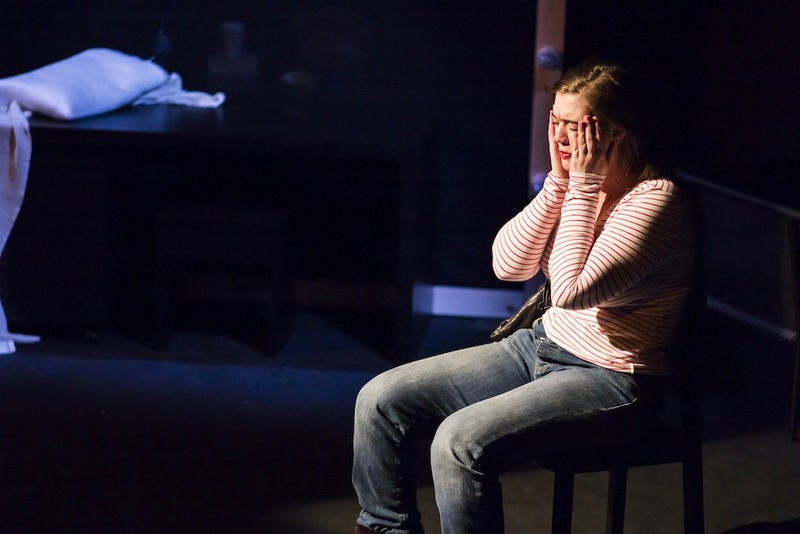 Far from it, playwright Joanna Murray-Smith creates six dynamic conversations – some between actor and audience, others between actor and half-imagined other characters – to the point where you almost forget you’re watching a single-hander. The play opens with a day in the life of Meryl, a frantic mother with a severe inferiority complex. The scene changes to a lecture hall at the North Hetherton Cactus and Succulent League, where a timid Tiggy Entwhistle painfully stumbles through a lecture extolling the virtues of the faithful cactus plant in contrast with her unfaithful lover Harry. Next up it’s Mary O’Donnell, the bumptious leotard-clad Irish schoolgirl convinced the school talent show prize is hers. After the interval there’s Theresa the Essex bride with last-minute reservations, then widow Winsome fresh from a sexual reawakening and who neatly mentions the final character, Zoe Struthers, a washed-up diva attempting a booze-addled comeback. Nunn herself admits that, at her age, she has not experienced most of the things the women she is playing have. But this doesn’t harm her performance, which is remarkable for its maturity. The depth of her voice, which is glorious, helps in this. And there’s something of a young Kate Winslet in her facial expressions, particularly the false grimace-smile she uses to play Meryl and Winsome’s serene gaze. Physically, Nunn is a joy to watch. Apart from a few erroneous t-shirt tugs and hair tucking, she moves with purpose and uses her body almost as another prop. The costume changes which, as in the original 2001 production, occur onstage, become part of the play as Nunn casts clothes from the rack and indelicately yanks tights up to her armpits. 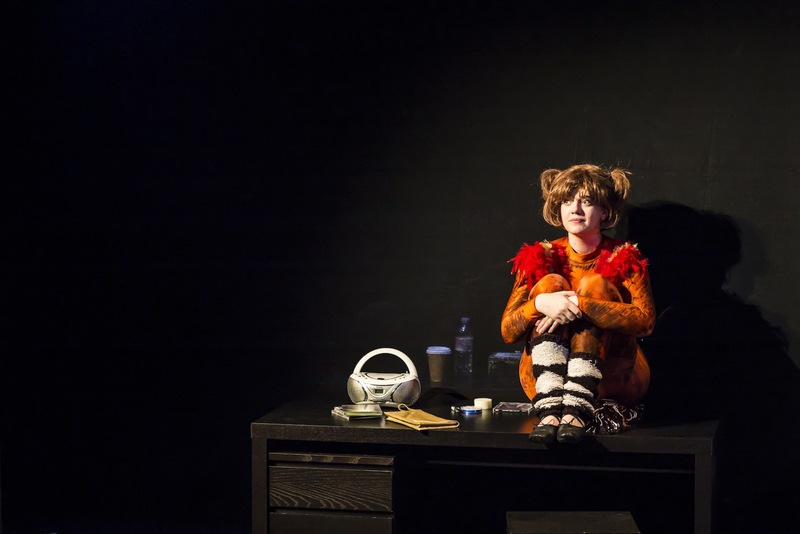 Her steely application of black eyeliner whiskers without a mirror while talking earnestly to the audience as Mary is a wonderfully comic moment, as are the melodramatic hand and head thrusts of diva Zoe. Bombshells was originally written for Caroline O’Connor, the musical actress and dancer. Part of its originality as a monologue is in the dancing and singing required to play two of the characters. Nunn pulls these off spectacularly, her teenage dance routine thinly veiling a natural ability to move to music, and her final singing performance capturing the essence of a diva. If anything lets down the show, it’s the lack of any meaning behind the six female vignettes we’re presented with. This was a criticism levelled at Murray-Smith’s work when it first came out in 2001, and Germaine Greer even said of the playwright (referring to a later play) that she “holds feminism in contempt”. It is a shame this performance doesn’t find something to pique the audience once the auditorium’s laughter has faded. Where this production does stamp its identity is in the addiction of a seventh character to the proceedings: that of the actor herself. Several times during the play Nunn talks directly to the audience not in character. Nunn says she breaks the fourth wall intentionally to highlight that there is just one woman behind all six characters working frantically to keep the show moving. But as an audience member it feels uncomfortable. With the costume changes already occurring onstage, there is no need to bring more attention to play’s artifice, and one can’t help feeling Nunn just isn’t well-prepared enough to improvise in character. Nunn insists that she would hate for people to see her choice of play as a deliberate ploy to showcase her own talents. If that’s her modesty talking, it’s time to shrug it off as her performance is something to be proud of.